Have you ever thought to yourself, “My God, how did that guy ever become a vice president?” or, "How did he get the promotion over me when I'm much more qualified?" In every industry, every company, and every department, there are those who quickly climb the corporate ladder with incredible speed only to find their successes were very short-lived. There are others who surely should be promoted but seem (to the novice observer) to never get a fair shake. Finally, there are those who just seem to do everything right. They ascend up the ranks in an almost heavenly fashion with little to no effort...or so it seems. If you are a business professional, aspiring executive, or fresh out of college looking to enter the corporate world, then this is the audiobook for you. 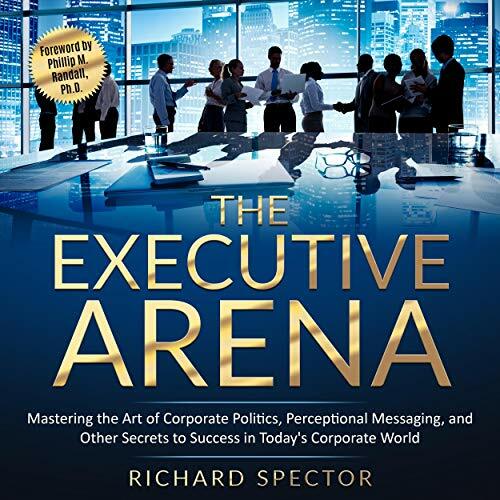 In this audiobook, you will learn how to use corporate politics in a positive way and arm yourself with the skills and aptitudes needed to give you the advantage over other players in the game and set yourself up for success. Really good stuff. You'll get a lot out of this book. The final 2 chapters really bring home a great message.